Healthcare technology knowledge network and publication Healthcare Tech Outlook has recognized ARC as a Top 10 Healthcare Compliance Solution Provider of 2018 for its mobile facilities platform, which helps healthcare organizations manage every type of building, and operations documentation to be audit-ready through mobility and efficiency. According to Healthcare Tech Outlook, “Digitizing the healthcare industry can provide cost savings of $300B. 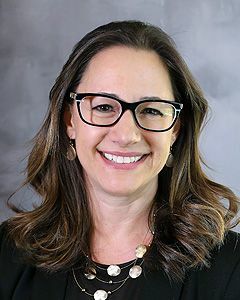 Despite this, healthcare technology is not widely used because of the different parameters of healthcare law.” To counter the challenges, providers search for new technologies to enforce compliance. Considering the level of impact technology can have on the industry, Healthcare Tech Outlook’s editorial board has selected a list of top Healthcare Compliance Solution Providers to reinforce the value. Accompanying the recognition in its December issue, Healthcare Tech Outlook published an article interviewing two ARC directors to learn more about ARC’s compliance solution. Read the full issue here. To thrive in today’s healthcare environment, medical institutions—ranging from big hospitals to small clinics—need to adhere to ever-growing compliance standards and codes established by the Federal government. Tracking environment of care and life safety standards and the associated documentation is a monumental task filled with risk. Adding to that, the reliance on paper-based workflows for self-testing, self-reporting, and preparation for the government audits aggravates the overall complexity of managing years of documentation. To alleviate the compliance pressure on the medical staff and ensure operational efficiencies, ARC offers a touch-based solution—ARC Compliance. One of the four mobile dashboards, ARC Compliance is specifically tailored for healthcare organizations. ARC’s mobile platform acts as the central repository for the healthcare organization’s content, which provides safeguard for future audit purposes. The solution transforms the client’s unstructured data into a format that is searchable, collaborative, and easy-to-use, allowing users to extract the exact information from historical data required by auditors. 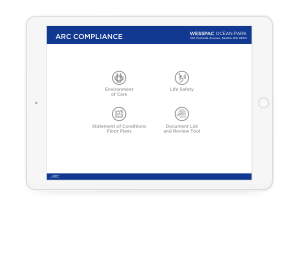 Learn more about the ARC Healthcare Compliance Solution.